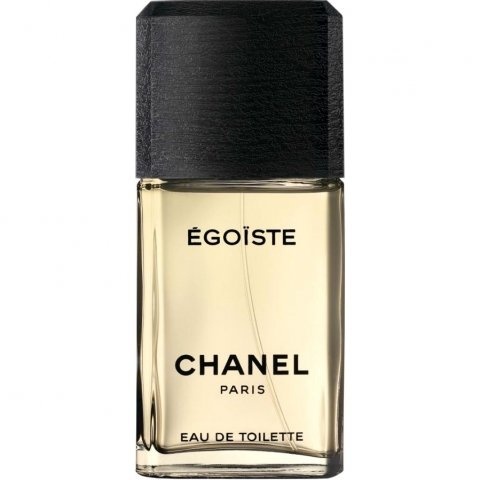 Égoïste (Eau de Toilette) is a popular perfume by Chanel for men and was released in 1990. The scent is spicy-woody. The longevity is above-average. It is still in production. Just once a year? Nope. My egotist. Since about 26 years my faithful companion. I'm always very faithful to my scents. I'm sure I wanted a different scent sometime. Sure, I was looking for it, too. But never found one. Nobody could get past Egoiste. It was or is my scent, even if it is no longer alone. Maybe he's even happy about it. There's Tuscan Leather. More about this in the right place. But why selfish? What does he have that others don't? It's not that easy to describe. It's just a very individual scent. Not as sweet as others, but a little. Not as fresh as others, but a little. Kind of noble. Not as spicy as others, but still perceptible and striking. Not musty at any time. Somehow perfect. My wife has fallen in love with me, of course not only, but also because of egotism :) She didn't know this scent before, and it took her by storm. She said back then, "If you wear selfishness, it's a feeling, an emotion for me. It always reminds me of Christmas". That's right, she said selfish is Christmas. Kind of logical, too. Discreet vanilla and also cinnamon. I think that's nice and I remember it every time I spray selfish. Once upon a time the early Nineties, when the opulence of the previous decade was still present before to giving way to a "Zen" minimalism. Exactly in 1990 was born this scent whose name is all a program : Egoiste. I was only a teenager but I'll never forget the spot on the tv where a crying woman was slamming the shutters of a window shouting to his man: "Egoiste!" ( selfish!) A cult advertisement. i never smelled before this iconic perfume and only a few days ago , while I was at one of my favourite drugstores of my town, I decided to spray this scent. Suddenly I was involved by a wonderful spicy cloud, deep, charming , warm. It seemed to me like a handsome man's hug. The first note I perceived were the coriander and the mahogany , made fizzier by the citrusy bright touch of the mandarin. But after a few seconds I smelled the cinnamon, warm and intoxicating , and the carnation. I didn't smell the rose, maybe a little covered by the spices and the deepest notes. Finally, a wonderful, rich, opulent base accord : amber, leather, sandalwood with the Smoky touch of the tobacco and the vanilla sweet accent. This scent has all the qualities of a lovely and charming man who could break a woman's heart : strength, sweetness and a touch of mystery and narcissism. The sillage is very good as well as the longevity. In this quite minimal but classy and refined squared bottle, in the Chanel's style, there's a mix of soul shades made fragrance to wear in the mid season or in winter . The price, of course, is high, but we 're talking about a masterpiece and (in my opinion) a milestone of the contemporary perfumery. I must confess that I'm totally addicted to this scent and I sometimes spray it on my skin with a surprising result: warm, deep, Smoky and spicy. Irresistible! How to "wear" the man of my dreams! When I purchased this fragrance in June of this year, on the pretext of obtaining a classic men's fragrance for low temperature days, I postponed the evaluation to winter by commenting. It is a very spicy fragrance. As soon as I spray Egoiste on, I hear a mixture of carnation and mandarin. This paired with a note of the woody kind. Whether it is the mahogany listed in the fragrance pyramid, I can not evaluate. The beginning is very violent, I would almost say a bit stabbing. Still, I don't find him uncomfortable. Thereupon this fragrance combination transforms into a clearly softer, milder and for me more beautiful note. Now I sense this fantastic interplay of tobacco, clove and cinnamon. In the background I see the leather trembling in the wind, like the last leaf on a dying tree. An outstanding ice position between "woody spice" and a discreet sweetness, as it is appropriate for a men's fragrance. From this point on I don't notice any more big changes. For this reason I use Egoiste next to Fahrenheit as signature scent in winter. In my opinion perfect for everyday use, but also suitable at night. This is the difference to the two winter fragrances Valentino Uomo Intense and Prada L'Homme Intense, both of which I like despite their unstoppable sweetness, but are very difficult to wear. During the course of the day, the fragrance is retained to a large extent. The shelf life is not overly good, but completely sufficient. It's the same with the Sillage. I don't like the bottle very much. It is also to be considered that I Egoiste almost never peep at fellow human beings. I think it's nice. The first fragrance I ever came in contact with. I was fourteen and he was in the bathroom with my father. Not the best place for a perfume but I didn't have a clue back then:-). My father even less:-)Well then. I sprayed and my first thought was: fruit tea:-)! I thought he was great. A short time later I walked in cool, pupertärem carelessness, sprayed with Canel, by the streets, where others wore axe musk. Twenty years later and a dozen more fragrances, this one is still a masterpiece for me. Now maybe I am embroidered differently or more simply than some others?, I don't know... or do I judge differently? For me, high perfume art has something to do with not recognizing a similarity or a flanker of other scents everywhere. Valentino and Dior, for example. Great scents but in the end looked at by the other. This fragrance is timeless, elegant, for young and old, whether in spring, autumn or winter, whether at a lively party or a fine evening reception. Wearable anytime, anywhere, and the best thing is: it lasts! Being reviewed is a 2015 bottle with no comparison to older versions. I have had this for a couple of years and now finally got around to reviewing this enduring fragrance. My Dad uses Platinum Egoiste, ( might even be his signature scent ) and it smells really nice, keeping that in mind I decided to blind buy this fragrance. All I can say is that for a fragrance released in 1990, it really impressed me. As I sprayed this on me, I instantly realized that this fragrance is vaguely familiar, I might have smelled this somewhere on someone, can't put my finger on it, but the smell then was more bitter, sharp and rough. The Egoiste in question here is a much more toned down, heavily reformulated, sweeter version of what once was a much more sharper scent. 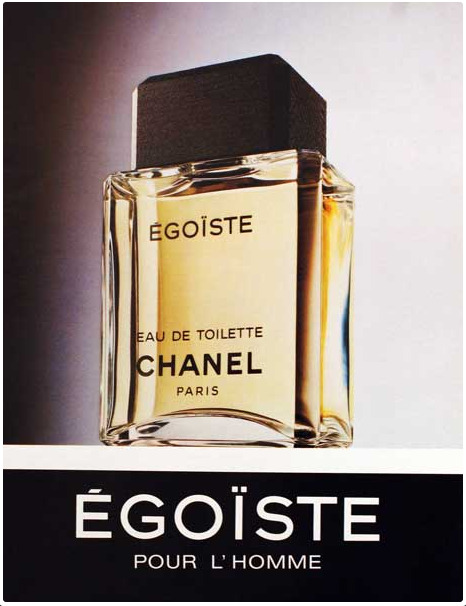 Chanel's Egoiste was the brainwave of Jacques Polge who was the head perfumer at the House of Chanel, the story goes like this. ( creator of Chanel no. 5 ), which utilized a high content of Sandalwood, and hence ended up inventing Bois Noir which was a completely new diversion from the fougere fragrances Chanel was used to launching. This diversion was however short lived and disappeared a year after its launch. In 1990, Polge decided to renovate Bois Noir and launched Egoiste to a much wider and accepting audience. The fragrance was an instant hit in Europe, however, it was a major let down in the United States, and was later revamped and sold as Platinum Egoiste. Bottle design ( 6.5 / 10 ) - The bottle is toned down and simplistic at best, with a sleek black top, having the Chanel logo engraved on it. The transparent rectangular bottle with the intense Chanel name doesn't do much to imprint an image on our creative side. Scent ( 8.5 / 10 ) - This is a spicy/woody/oriental scent, there is no denying it. It opens with a burst of mandarin and Damask rose on me, and I really admire the ingenious mix of the two elements, especially the Rose. Damask rose really reminds me of its more common variants such as rose oil and rose essence, but Polge brilliantly keeps the delicate balance alive through the spicy element of Cinnamon, which has a sneaking presence in the scent. Besides Damask rose the other prevalent element is definitely Sandalwood, in its most purest form, at once recalling Polge's homage to Ernest Beaux. Sandalwood in this fragrance is the most enduring element, sort of like the patriarch of other notes according to me, followed by the Damask rose. As per fragrance websites, there is also the presence of vanilla and ambrette seeds, which gives it a more gourmand edge, however, my nose cannot sniff that. Earlier versions also had Tobacco, however Chanel's official website no longer includes it in its list of notes. The Rose/Sandalwood mix ultimately lends this fragrance its oriental touch. All in all the scent is much more sweet than what I remember. Longevity ( 8 / 10 ) - The perfume lasts on my skin for a good 6+ hours, however after the 2-3 hour point, it lingers more closely to the skin, maybe it is due to the heavy reformulation the perfume was subjected to years after its release. Overall the performance is strictly good. In summary, the fragrance still retains some of its old style sophistication and a mature man's conservativeness, without being an olfactory hazard. But when all is said and done, I can't help but say, the way B.B. King summed it up, " Baby the thrill is gone". There's an awkward moment when you realize what you were looking for in niche shelves and could be satisfied, is right beside you. That moment is when you try Égoïste. Without no particular reason, I had always forgotten to try this perfume while in department store. Last autumn, I randomly gave it a try, and it un-randomly gave me a special goosebumps. Égoïste is a candied spicy herbaceous gem with woody, floral, and ambery base. The way cinnamon, rose and tobacco present is happened once a century. One of the best of 90's. Only in the cold, rainy and wet days you can understand and feel the true beauty of this perfume. Egoiste is warm and creamy whith a vibrant spiciness. After hours or days when impregnated on a coat comes outside his real soul and elegance. Yes, this is the tender elegance of Egoiste. Chanel Égoïste is a fragrance that is really special, it really doesn't smell anything like 80-90% of male designer fragrances out there. I believe that if this were released today it would be considered niche, and cost perhaps up to twice as much as what it does. I would go as far as to say that this is a masterpiece of male perfumery, probably the most confidant, mature and elegant masculine release of the last generation, and one of the greatest perfumes for men of any time, whether considered niche or designer. Égoïste is the embodiment of a confidant, masculine, spicy oriental, and Chanel perfumer Jacques Polge (who has done every Chanel perfume since 1981) has called this his proudest work. I can see why. This fragrance doesn't remind you of anything else advertised for men out there. It's the complete opposite of the generic, sterile-clean aquatic releases which have almost saturated the designer market today. It is rich, deep, elegant, strong, confidant. It makes a statement of quiet confidence and assured masculinity. It's really for the man who is strong and assured yet who is loved by all. The strong man with a kind personality, I would call it. The story goes that this was a fragrance meant for the Chanel CEO at the time, as a private scent for him. Later, they released it to the public. It didn't sell, because the majority of people like to buy fragrances which remind them of other fragrances (just look at the aquatic craze of the last 20 years). Chanel Égoïste smelt nothing like anything else at the time. Nevertheless it survived, and even today still has the same effect. Jacques Polge based the composition on Chanel's "Bois des Iles", a heavy sandalwood-based fragrance released 5 years after the famous No. 5. Égoïste is also centred around creamy sandalwood, which is surrounded by spices: Cloves, Cinnamon, Coriander. It also has a beautiful rosewood note which is joined by real, natural smelling Rose, and sharp Carnation in the middle (this is what some have called the "dated" aspect of the fragrance); before finally drying down to a wonderfully warm and creamy Vanilla-Amber-Sandalwood base. I find it very similar to Coco, which he made for women 6 years previously, except a lot more woodier, spicier, and overall more masculine. It's absolutely beautiful, but very hard to appreciate because it doesn't smell like many of today's popular releases, and for many people, this will either be love or hate. It's warm, bold, spicy... and it takes confidence to wear. If I had to compare it to anything, it would probably be Frederic Malle's "Musc Ravageur" which is a deep, spicy and sensual fragrance but marketed as niche. I hope that Jacques Polge's proudest creation stands as a testament to all that is possible with male marketed perfume, and show that not all male fragrances have to smell the same or conform to the same standard set by others. I hope that this classic will always be there as a reminder that men can wear something created for them which is just as complex and beautiful as anything made for women; and to also prove that men can give off an aura of being strong, confidant, warm and gentle simultaneously. Nothing more can be said of Égoïste. Well done! The old version was excellent.Later they produced replicas of this scent such as costume national homme and gucci 2. But this one is better than all. Beautiful on men, but also wearable for ladies – EGOÏSTE represents rather a state of mind, than a gender. The name had a strong influence on my perception, but anyway, if you buy a perfume, you buy it together with its name and bottle. The spicy-creamy overture is sweet and thruster. The creamy smoothing dries up, it gets more and more brown, most probably mahogany and cinnamon become sombre. EGOÏSTE in this stage is so bitter as a victory that you can not show off with. I get the same feeling as when Serge Lutens clouts my on the head – it also means, that EGOÏSTE contains cinnamon lavishly. The fragrance calms down till the base, which is earthy, composed and excellent. The perfume is brave and loud, for my nose rather unisex and durable. Spicy sandalwood. Delicious. The cinnamom note is very well blended here. Dries down to a balanced sandalwood which is actually heavier than the Bois des Iles drydown. Suitable for mature men and for colder months, this will not disappoint anyone. I prefer Bois des Iles to Egoiste because it smells more creamy in the base. So if you like Egoiste, the next step to try is Bois des Iles. A nice woody-fruity fragrance will be at least somewhat attractive to 75% of those who smell it. It is undemanding and hits the right buttons. It’s like a blooming flower in this respect. Who actively dislikes jasmine or rose? Egoiste uses this moderate prettiness to gear up to striking beauty. Egoiste is a pseudo-oriental that beat the Lutens ‘new oriental’ Feminite du Bois to the fruity/cedary punch, but replaced restraint with largesse. Where you might admire FdB with a “well done” you just want to ooch Egoiste’s cheeks squealing “you are TOO cute!” FdB has a growing harmony that is a function of its radiance. Egoiste is a big diva-like melody with built-in backup singers. Egoiste composes an accord that hits all the right tones we love about sandlewood---vanillic, creamy, fruity-sweet, at once rounded and sharp. I find the actual woodiness, though, to be a cedar, rosewood and musk blend of perfect pitch paired with vanilla and who knows what else. I think Egoiste has survived since the 1980s fully intact, despite the sandlewood drought, because it emulates sandlewood the way Guerlain’s Nahema calls to mind a rose: by employing a superb chemical geometry to create an olfactory allusion. The herbal touch completes the picture and creates a medicinal tone that keeps the sweet creaminess from crossing the line to toothaching. Egoiste makes me wonder (other than exceptions such as Dior Homme and Guerlains’s Heritage) why designer men’s fragrances don’t strive for beauty instead of tolerating the low expectation of skimpy, vernacular handsomeness as a goal. It is difficult for me to write an objective review on this one because there there are some memories linked to it. In the 90's - I was a teenage girl of about 14 years old - we did a school exchange with a french partner school. I was really lucky with my exchange partner, we were virtually soulmates and stayed in touch for a long time afterwards. Her mother collected perfume miniatures, I especially remember her owning some Chanels. Though I liked perfume I was still not a junkie. On my last day in their family her father took me down to the wine cellar and chose a couple of bottles for my parents not without instructing me that the bottles had to rest for 2 weeks before opening them. The mother prepared a lunch pack for me and gave me a 4 ml mini of Chanel Egoiste. That juice captivated me, it made me crazy like hell. I kept that little treasure - my holy grail - for as long as possible - just sniffing some of it from time to time. I had no idea at all that it was a guy's frag (internet still did not exist and I lived in a small place were I didn't pass by perfumeries every day...) and honestly, it never would have come to my mind. It was MY scent, so special. Actually I have no idea why I never made my parents buy it for me for birthday or something. Maybe I had given up on it because I got to know that it was for guys - who knows. Back then I wouldn't have worn guy's scents. And lateron I forgot. About a year ago - now as a perfume junkie - I went to a perfumery with a male friend of mine. I sprayed some Egoiste on him and it was disgusting. Very skanky. After an hour or two it got better. Once more I forgot about it until I got to know Bois des Îles this summer, which I quite liked - and read about its ressemblance with Egoiste. A couple of days (now weeks) ago I had the spontaneous opportunity to buy cheaply another 4 ml mini of Egoiste. Looked exactly like the one I used to have and according to the label it must be vintage juice. I applied some drops on my neck and WOW HOW COOL IS THAT? I still find it damn good an this is although my tastes have changed a lot during the last months and years. Pure nostalgia? Don't think so! To begin with, there is a clear family resemblance between Egoiste and Bois des Îles. But they are definitely different enough to own both. When testing them simultaneously, the differences get very clear - and I wouldn't necessarily say that Bois des îles is the winner, the better, the more complex one - at least to my nose. BdI is softer, smoother, has the typical Chanel-notes - slightly animalic (civet??? don't think so) or maybe rather aldehydes. Just as if you had removed some notes of Egoiste (e.g. lavender) and mixed some Cuir de Russie to it. It makes BdI creamier, a bit more feminine (to me both are unisex after all), a bit as if you softened a spicy sauce by adding some cream to it. Spice is the keyword: Egoiste is a very spicy oriental with lots of woody cinnamon and lots of sandalwood, I don't get much of the clove though. Contrary to the very Chanel BdI the top notes of Egoiste seem somewhat Guerlain - clearly lots of lavender and other herbs, something slightly animalic (not sure if there is civet, might come from the lavender). Almost reminds me of the top notes of Jicky. In the heart there is loads of cinnamon, not overly sweet, but enjoyably pungent and woody. Somehow this scent seems sweet and dry at the same time. During one test I believed to get a faint incense note, too. The heart melts perfectly with the sandalwood note. Lateron some floral notes, especially a slight rose note appears, not a heavy grandma rose, just a slight tough. And so on... wood-cinnamon-sandalwood. Be light on the trigger, then its simply brilliant! In the drydown Egoiste and BdI get closer to each other, but some differences remain. UPDATE - although I already own far too many scents... I simply had to own a bottle. This time the mini was not enough. I got a used 50 ml bottle with recent juice. It is still Egoiste, however slightly different, still great. I think I get more of the leather and tobacco (which I now get) in the vintage. Comparing to other frags containing rosewood I also get lots of rosewood here (both versions). I recently sprayed some of the juice on my mum - and it got very skanky on her. Just as on my friend. On my skin it gets slightly skanky in the very beginning, but highly enjoyable. On my mum it stays skanky in a less enjoyable way for about an hour. Who is the egoist here? My wife – since half a year member of the parfumo community – tries constantly to get me hooked on scents (as she already is!). So, from time to time she buys scents for men just to put them under my nose asking what I would think about it. Usually, my standard answer is “Well, I guess it’s cinnamon” – of course not even having tried to identify what it could be! (Why should I? She’s mad about perfumes, not me! I just shy away from giving no answer at all so I mumble my standard cinnamon reply). Usually, she raises her eyebrows then, shakes her head in disapproval and murmurs something like “pahh, you’ll never get it” and leaves with her sample. But this time she responded with delight “Yes, honey, you are absolutely right! It is cinnamon, indeed! It’s just great how you got that!”. So, I was startled! I took a second sniff. This time I got a nice harmony of coriander with a whiff of tangerine, and a little bit later some flowers, not to many though (maybe rose or carnation). Later in the basenotes Egoiste develops a very fine, warm and smooth woody basis with a hint of vanilla which makes it very attractive (to women). Well, this smell was really nice. However, before I could comment on the scent or give my opinion, she went off with the closing remark “Allright darling, I guess we’ll buy this scent”. And everyone of you guys who is married to such a strong-willed lady knows exactly what happened next. Two days later the perfume was delivered and since then I have to struggle whenever I want to use Egoiste (as she puts it away to her cabinet where she has all her scents stored). This was my start into the world of fragrances as, of course, I had to stock up on scents myself. Since then I am testing perfumes and on and off I come across some nice fragrance which I really like. And slowly my perfume collection is growing. A classic statement of the 90s. I don't usually like the DNA of "old" (not really that old) perfumes but this one is stunning!